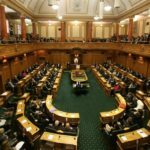 What will Investor-State Dispute Settlement mean for New Zealand under the TPPA? One of many causes for concern around the TPPA is that it would give overseas companies special guarantees and the power to sue the New Zealand government offshore for over new policies and laws in what is called Investor-State Dispute Settlement (“ISDS”). If the TPPA comes into force, an investor from any of the TPPA countries (Australia, Brunei, Canada, Chile, Malaysia, Mexico, Peru, Singapore, the United States, and Vietnam) will be able to sue the New Zealand government for millions in damages in secretive offshore tribunals. 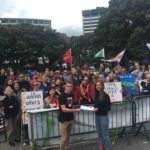 Under ISDS foreign investors could claim that new laws and regulations introduced by the New Zealand government have breached their special rights under the TPPA and undermined the value of their investments. 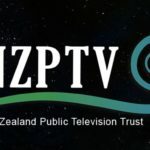 “Investment” is defined extremely widely in the TPPA, to include almost anything a foreign company has spent money on in New Zealand — including shares, businesses, contracts, land, intellectual property rights, and even government bonds. If the TPPA is ratified the ISDS provisions in the agreement would seriously fetter New Zealand’s sovereignty, and the ability of our government to look out for our interests. We elect our governments, and should be able to rely on them to pass laws and implement policies to protect and grow New Zealand. Our elected representatives should not have to be constantly looking over their shoulder to make sure that a law or regulations does not risk a law suit from well-resourced and litigious corporations. Government decisions should be made with the people in mind, not the balance sheets of overseas companies. Worse, if New Zealand did get sued, then millions of taxpayer dollars would be spent defending the case average cost of defending an ISDS case is US$8 million, but can easily exceed US$30 million (Australia spent A$50 million defending itself against Phillip Morris) as well as many millions more if we lost. In the last 13 years the number of ISDS cases brought at the International Centre for the Settlement of Investment Disputes — the main ISDS forum — has increased by 460%, and over $719 million has been paid out under ISDS agreements with the United States alone. Just the threat of a long, expensive dispute is designed to get governments to back off. If the TPPA is ratified we will face the prospect of a government scared of making a stand and/or massive unnecessary spending of tax payer money on law suits. ISDS gives overseas companies an unfair advantage over kiwi businesses. If a New Zealander feels that they are hard done by, they can take the matter to the New Zealand courts. However, if the TPPA is ratified then a foreign investor who thinks that their investment has been damaged would have the option of using the New Zealand court system, or using ISDS to take the case to an international tribunal claiming a breach of their special rights under the agreement. They could even do both — in September 2012 Philip Morris lost a case in Australia’s highest court about plain packaging of cigarettes, but continued to sue Australia using ISDS under an investment agreement with Hong Kong. .
many of the judges in these ad hoc arbitration tribunals also appear as lawyers in similar cases, in a way that would be unethical for judges in domestic courts. Unsurprisingly, the above jurists concluded that ISDS “is not a fair, independent, and balanced method for the resolution of disputes between sovereign nations and private investors”. The EU has rejected ISDS in their negotiations with the US, and a growing number of countries around the world (South Africa, India, Indonesia and a nuber of Latin american countries) are unwinding their existing ISDS agreements. Others like Brazil have never signed ISDS agreements and still receive high levels of foreign investment. The New Zealand government should stand up for its people, and say no to ISDS.